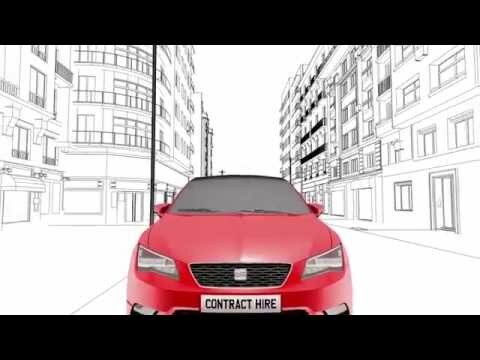 If you run a small business and want to drive a SEAT without worrying about it's future value or the hassle of eventually selling it, a SEAT Contract Hire agreement is an excellent option. At Fife SEAT, we aim to provide small businesses with convenient contract hire based on competitive rentals lasting from 12 months up to 4 years. You'll deal directly with us, our Sales team, will be able to discuss your needs and find the perfect package for your business. ^Personal & Business users. inc VAT at 20%. With 36 Month Contract Hire. 18s+. Subject to Status. T&Cs apply. Indemnities may be required. SEAT Financial Services. Model shown is a Ateca Cupra DSG 2.0 TSI 4Drive 300PS, initial rental £1097.00 (£668 Fife SEAT contribution plus £429 from customer), monthly rental £429.00, 10,000 miles per annum, excess mileage 6.98p per mile. Contact us for prices including Design or Comfort packs. ^Business users only. inc VAT at 20%. With 24 Month Contract Hire. 18s+. Subject to Status. T&Cs apply. Indemnities may be required. SEAT Financial Services. Model shown is a Leon 5dr Cupra DSG 2.0 TSI 290PS, initial rental £339.89, monthly rental £339.89, 8,000 miles per annum, excess mileage 7.0p per mile. ^Business users only. EX VAT at 20%. With 36 Month Contract Hire. 18s+. Subject to Status. T&Cs apply. Indemnities may be required. SEAT Financial Services. Model shown is a Leon 5dr FR 1.5 EVO 130PS, initial rental £1,014, monthly rental £169, 10,000 miles per annum, excess mileage 5.0p per mile. Model shown is a Arona 5dr SE TECHNOLOGY 1.6 TDI 115PS, initial rental £954, monthly rental £159, 10,000 miles per annum, excess mileage 4.0p per mile. Model shown is a Ateca 5dr SE Technology 1.5 TSI 150PS, initial rental £1194, monthly rental £199, 10,000 miles per annum, excess mileage 5.0p per mile. Model shown is a Tarraco 5dr SE Technology 2.0 TDI 150PS, initial rental £1680, monthly rental £280, 10,000 miles per annum, excess mileage 6.0p per mile. Then simply call us on 0330 100 8910, 365 days a year and choose the service you need.